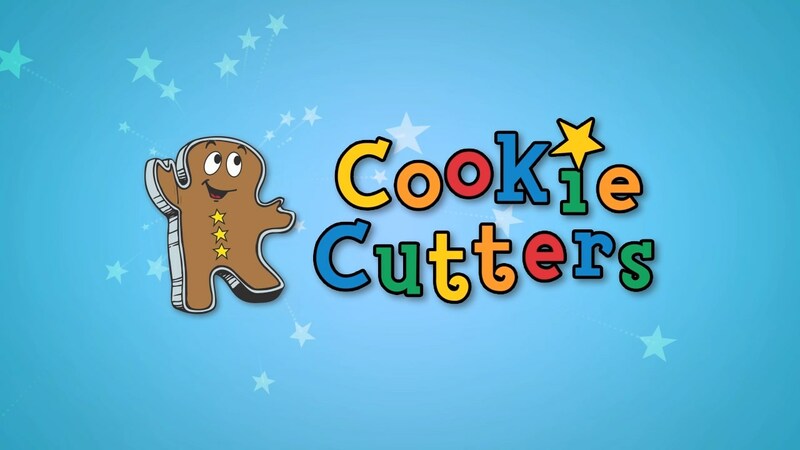 Kids Haircuts - Cookie Cutters Columbus | The Ultimate Kids' Haircut Experience! Kids Haircuts should be HAPPY! Fun Haircuts for Kids, Stress-free for Parents! Discover How Much Fun A Kid's Haircut Can Be! 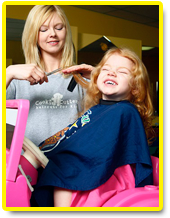 Our goal at Cookie Cutters Haircuts for Kids is to provide families with an amazing children's haircut experience. From the slide and touch screen play unit in the waiting area to the TVs, video games, and fantasy chairs on the cutting floor our expert staff is waiting to provide your child with a one of a kind experience. My little girl loves getting her haircut. She also really likes the little hair bows and accessories. The stylists are always nice to her and they do a good job with her hair. We had a birthday party (Glamour Party) there and she and her friends had a blast. My brother was getting married and they gave her a special updo. She looked great. Strongly recommended. My son used to kick and scream when he got his haircut. The stylists know how to deal with him and now he actually likes it. They have a lot of cute toys, play set, etc... to distract him. We won't go anywhere but Cookie Cutters. Thank you. Earn a point every 2nd visit and redeem 10 points on future savings and discounts.